Yellow: 100% Pure Baby Alpaca, Teal: 80% Alpaca and 20% Organic Merino Wool. Crochet. My colour inspiration was a direct rip off from these photos! 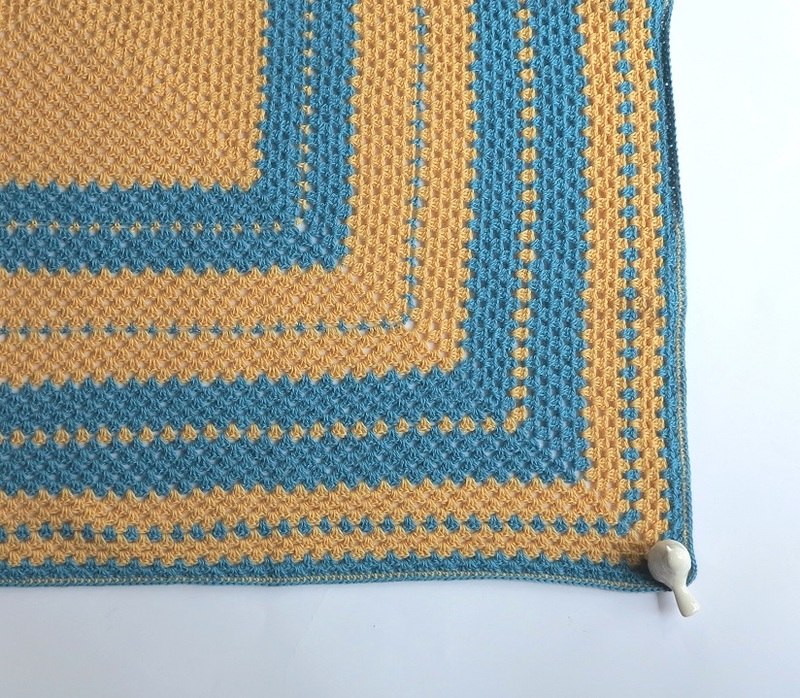 It’s my…a bit modern (teal and yellow)… but a bit retro (granny square) blanket. It’s feather light and super soft. 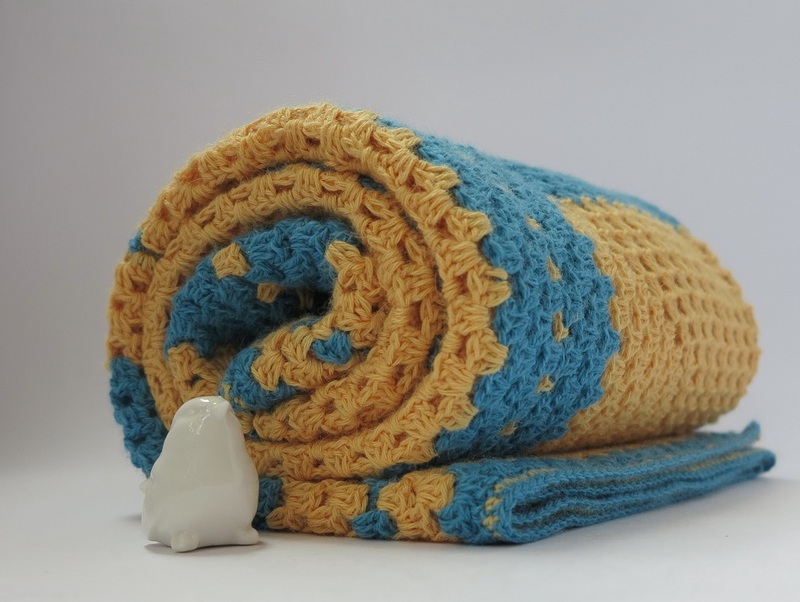 It kept my legs so warm whilst I was crocheting it, and is quite delicate being all 4ply yarn. 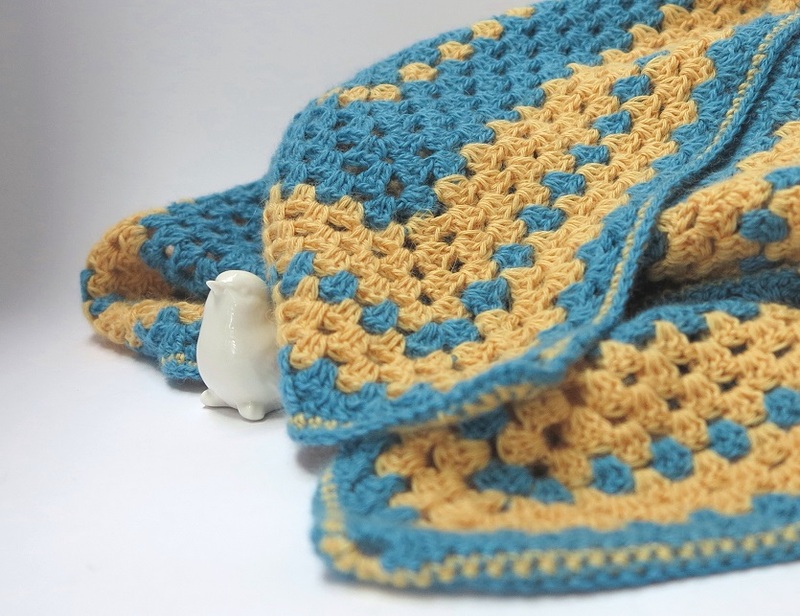 Generous in size, this baby would be a great lap blanket or a gorgeous modern baby blanket. Quite the versatile little blankie I think. It’s a granny square that just kept going. I added a few thin stripes, then some chunkier ones, and I really love the effect this created. I might find it a bit hard to part with actually, but I will be listing it in the Shop soon. If I can bring myself to do it. 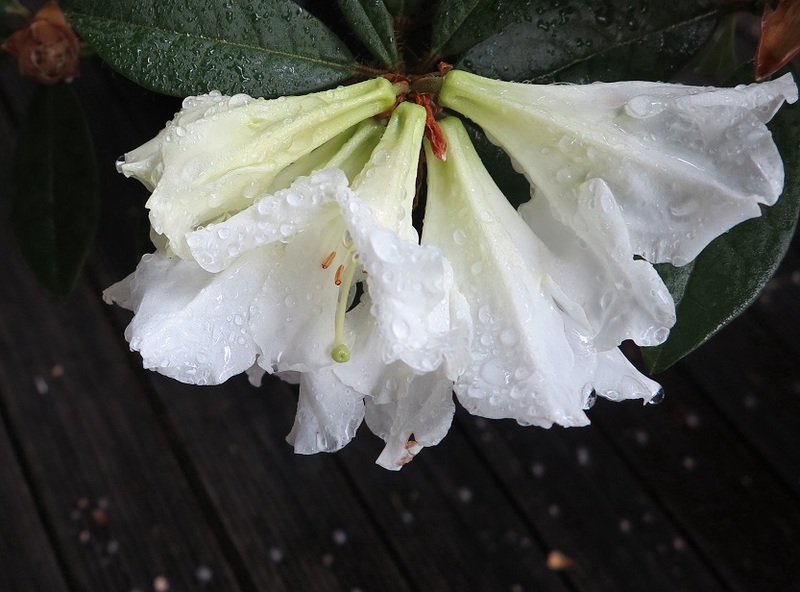 And I just have to share a picture of this gorgeous Rhododendron. 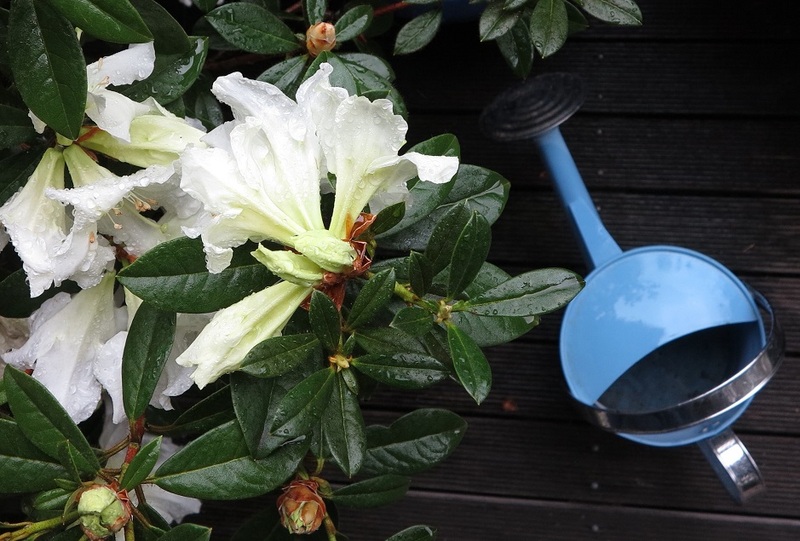 This winter flower is our new Rhododendron ‘Wedding Gown’. It’s just starting flowering and is so pretty! 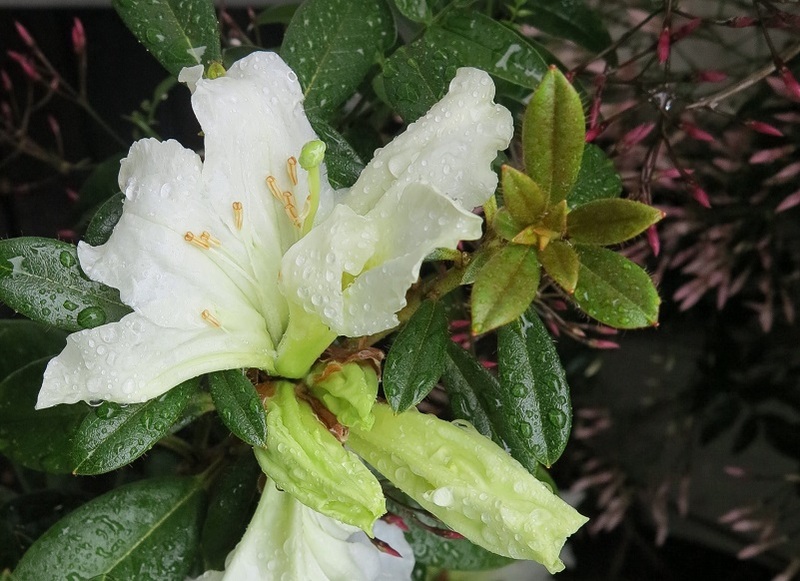 Lime green in the bud, it opens to the most light bright white delicate flower. It’s on the front porch, in it’s very large pot that we purchased it in, but will be planted in the garden once it’s finished flowering. (we didn’t want to send it in shock and risk the billion buds on it not opening!) The pretty little pink buds in the background here are Jasmine. It grows all over my front porch and is about to explode into a delicious sweet heady scent that knocks your socks off when you walk up the porch steps. A perfect entrance to Dove Cottage. 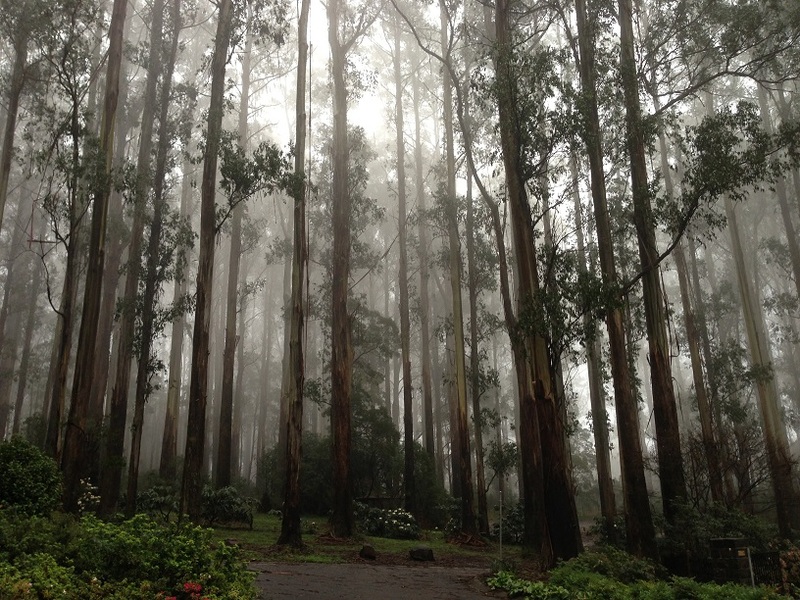 My favourite tall gum tree forest was in the misty clouds on my last visit. It looked absolutely gorgeous! Mother nature rewards me enormously when I make it to my winter walks. Although the day was very grey, raining on and off, overcast, no sun in sight, gloomy even – I am greeted on my walk with this gorgeous sight! 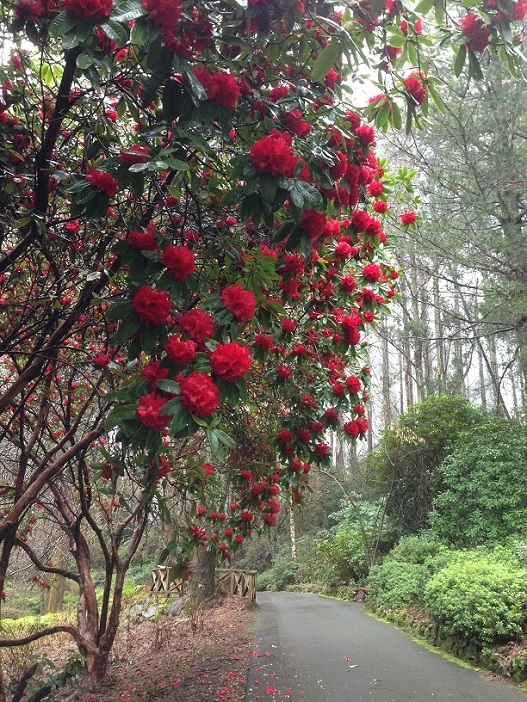 I am really falling in love with Rhododendrons. Especially the early flowering ones that give you a big tree with red pom poms like this one. 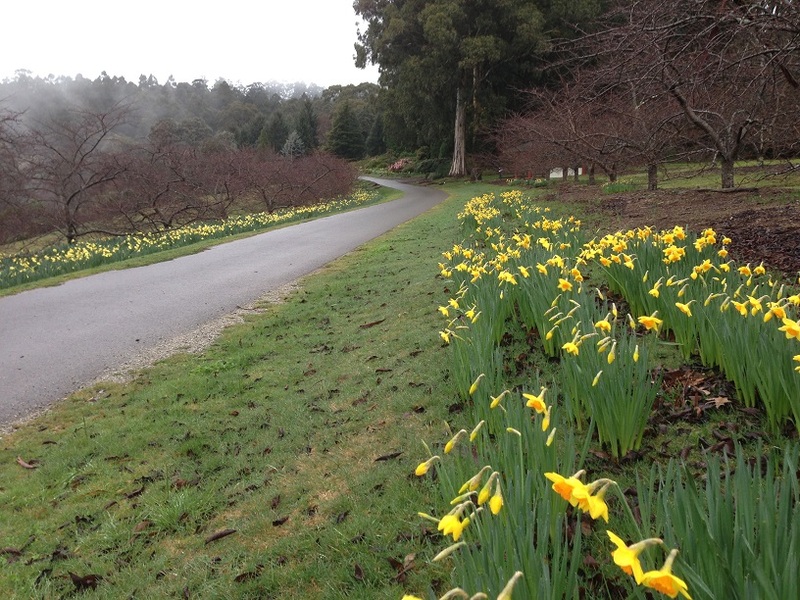 And how’s this for a cheery path? I was walking in the rain at this point, but I couldn’t wipe the smile off my face snapping these beauties. 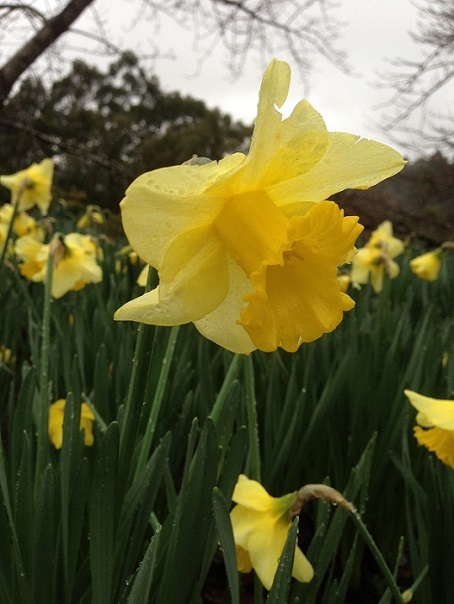 I’m going to leave you with this pretty yellow daffy, and send out cheer and hope and love to all, in honour of Daffodil Day. Hope you find some bright cheeriness in your day… even if it looks gloomy outside… may you find a flower that puts a smile on your face. This entry was posted in craft, crochet, garden, Photography, Uncategorized and tagged alpaca, blanket, crochet, flowers, garden, granny square, granny stitch, lap blanket, merino wool, pure baby alpaca. Bookmark the permalink.